The Penn Dental Medicine dental health clinic is making a difference for patients, students, and the community. In recent years, the state of dental care in America has been a topic of much discussion. 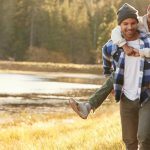 Although there are many areas for concern, one of the biggest has been the high rates of Americans who do not receive the preventive dental care they need. HealthDay news reports that between 23% and 43% of Americans did not receive preventive dental care in 2009, depending on race and ethnicity. One of the challenges contributing to these high rates of individuals not receiving proper care is expense. For those facing such challenges, Penn Dental Medicine’s dental health clinics can make a significant difference. What is a dental health clinic? Penn Dental Medicine’s dental health clinics are part of the Penn Dental Medicine clinical education program, which train dental health professionals in all fields of dental medicine. Student doctors, under the supervision of University faculty, perform the clinical care, gaining valuable experience as a part of their education. When patients are treated at Penn Dental Medicine, they receive top notch care from students who are being trained and guided by some of the best dentists and doctors in their field. Patients are treated by the very best faculty and by students committed to providing outstanding care. As a part of this program, patients not only receive excellent care, but also can save a substantial amount over similar services provided in another setting. Patients are charged the lowest reasonable fee to cover the operating costs and services of the clinic. Penn Dental Medicine accepts direct payments from most dental insurance plans, and payment plans are also available through Care Credit. Additionally, we accept cash, personal checks, money orders, and credit/debit cards. 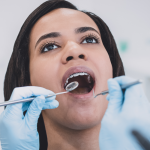 The opportunity to receive important preventive general dentistry services like cleanings and oral cancer screenings can make a significant difference for patients. 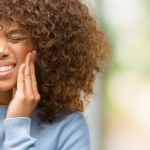 Not only will preventive care keep teeth and gums healthier, but early intervention can also prevent any problems that do develop from getting worse. Oral health is linked to general health, and sometimes the first indication of a health problem can be discovered through a dental exam. 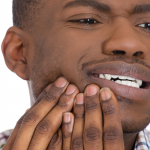 Patients can often avoid costly medical problems down the road by investing in routine dental exams. For more information about Penn Dental Medicine’s dental health clinics, contact us today at 215-898-8965.